17th arrondissement of Paris, close to Montmartre. 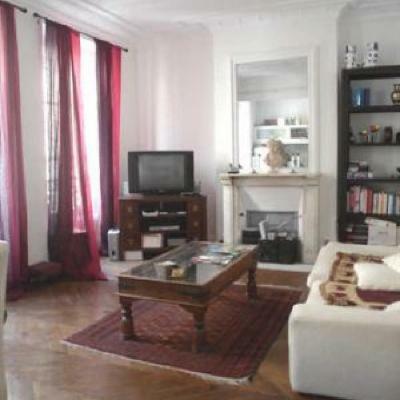 Typical Parisian flat, entirely renovated in . Original features - wooden floors, fireplace, ceiling, cornices. Brand new kitchen & bathroom. One double bedroom + convertible sofa bed (double size). Very quiet flat overlooking courtyard on one side (bedroom side) and a small street on the other side (kitchen / living room side). Available all year round for short stay or longer period. PLEASE NOTE THAT MY FLAT WILL BE SOLD BY END FEBRUARY AND WILL NOT BE AVAILABLE AFTER THAT. HURRY UP IF YOU ARE INTERESTED!